The River Niger was was a major trading highway in a West Africa that had little other infrastructure. British traders had long navigated the channels and tributaries of this mighty river. However the area certainly deserved its reputation as the white man's grave: Malaria, Yellow Fever, Swamp Fever and many more diseases made European lifespans far shorter in the interior in particular. Also, the area was very heavily populated and not all Africans were friendly towards Europeans. However, not all Europeans were dissuaded from exploring the harsh environment. 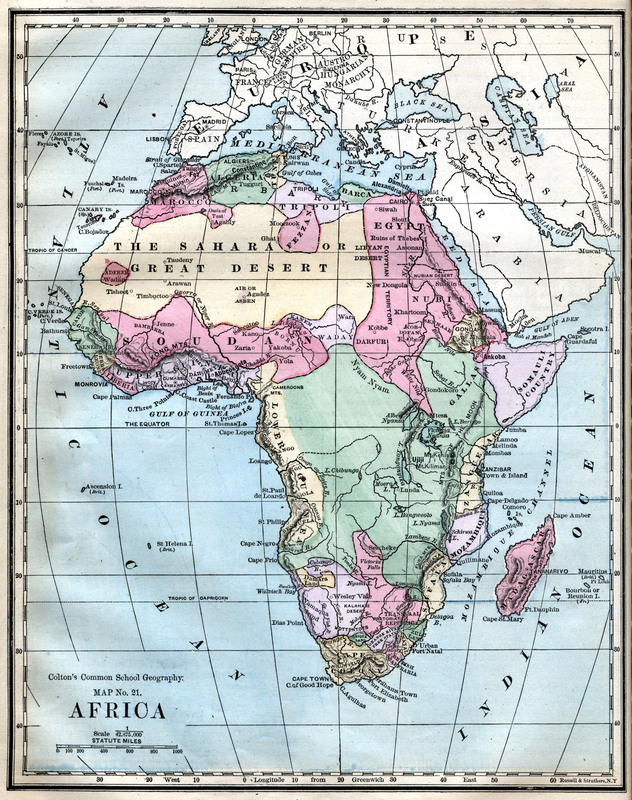 There was considerable competition with the French in particular in finding out the source of the Niger and its tributaries. Rivers were the lifeblood of communications and trade and so it was important to secure access to the entire length. Mungo Park, Richard and John Lander, Dixon Denham and Hugh Clapperton all attempted to find the source of the river, often travelling overland from the North or West as it was less dangerous. The British had been content to keep their presence limited to the coast and the mouths of the rivers. However, in the 1880s the French made it clear tht they were keen on increasing their influence in the area. 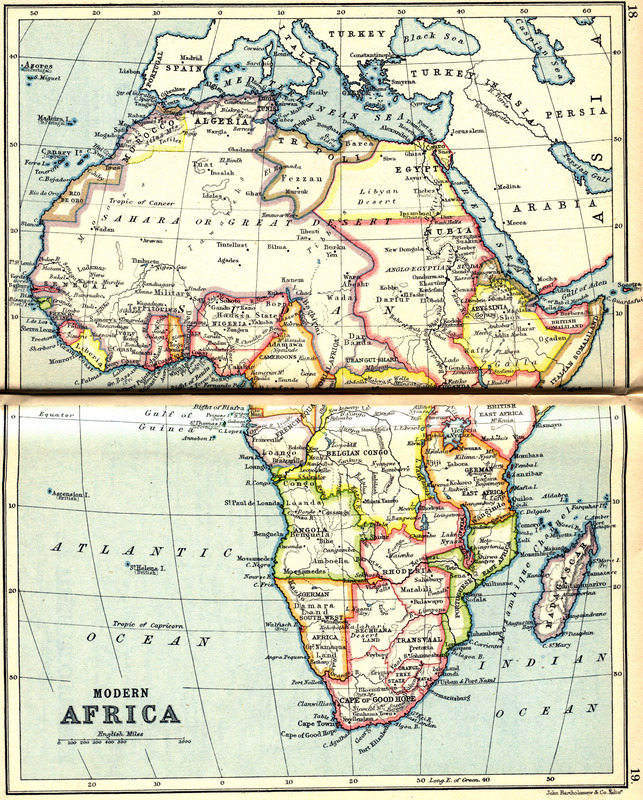 They had already sent expeditions from West Africa to hem in the colonies of Gold Coast and Sierra Leone. However, the British were going to try and stop the same thing happening in the case of Southern Nigeria. George Goldie would be the prime mover of this initiative. He was a businessman with considerable interests in the area. He used his United African Company to buy out and amalgamate British interests in the area. In 1884, he also could take advantage of French reverses in the Far East to buy out worried French investors in West Africa. The arrival of the Germans in the area was to be a further spur to action. 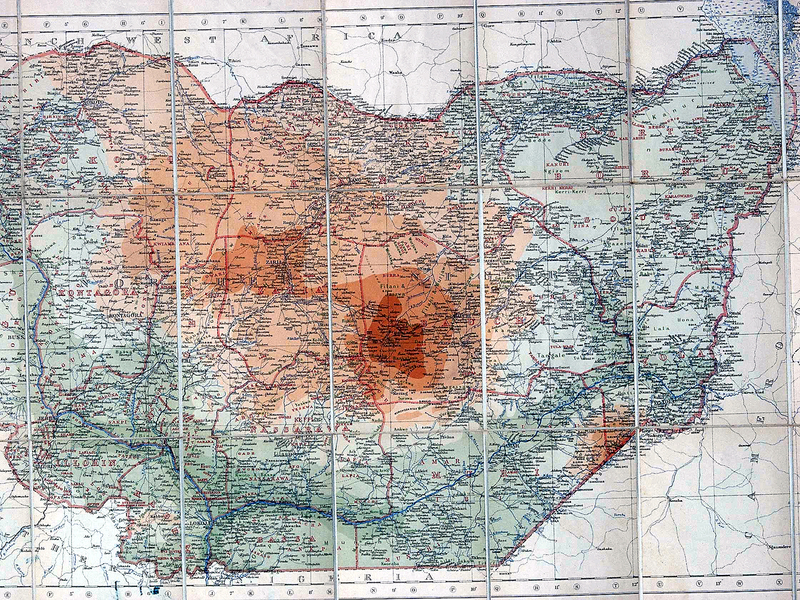 They had annexed Togoland and Cameroon and made it clear that they were ambitious for more territories. It was at this point that the major European nations called together a confernce in Berlin to sort out the contrasting and competing claims. In fact, the Germans were playing something of a double game. Bismarck was little interested in colonial adventures except that it added leverage to his European designs. Although it should be said that the Kaiser was much more in favour of a 'place in the sun'. 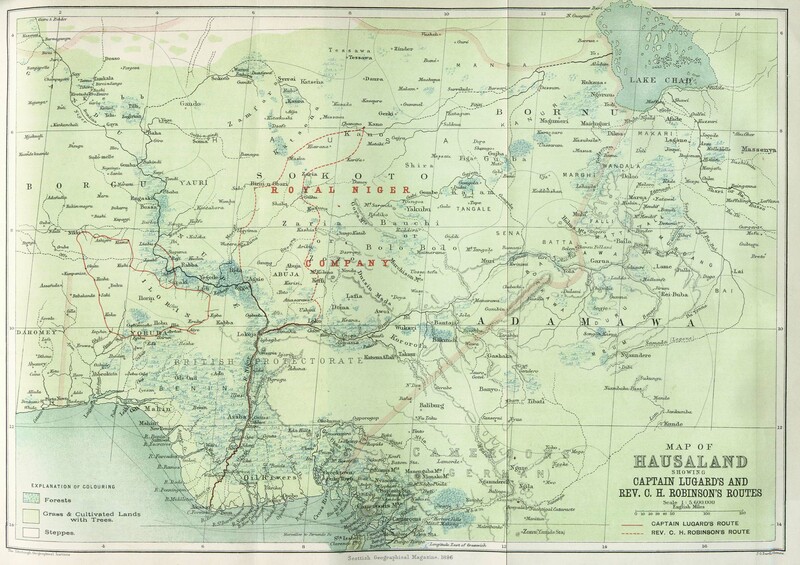 Britain basically had to say that it claimed the protectorates of the Northern and Southern Nigerias or risked losing them to the French or the Germans. The British then charged Goldie's (renamed) Royal Niger Company to administer it on their behalf. 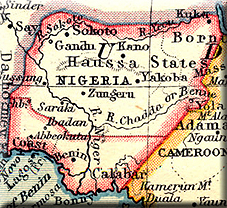 It was, however, evidently impossible for a chartered company to hold its own against the state supported protectorates of France and Germany, and in consequence, on January 1, 1900, the Royal Niger Company transferred its territories to the British government for the sum of 865,000 pounds. The area was so vast and populous that conventional direct methods of ruling were quite inappropriate. Lord Lugard came up with the idea of using 'dependent rulers' to rule indirectly. Trusted rulers were allowed to rule as they saw fit. Such an approach was cheap to implement, it supported existing power structures, conservative and it legitimised colonial rule. The experiment was to be so successful that it was to be used as a model by other colonies around the Empire. 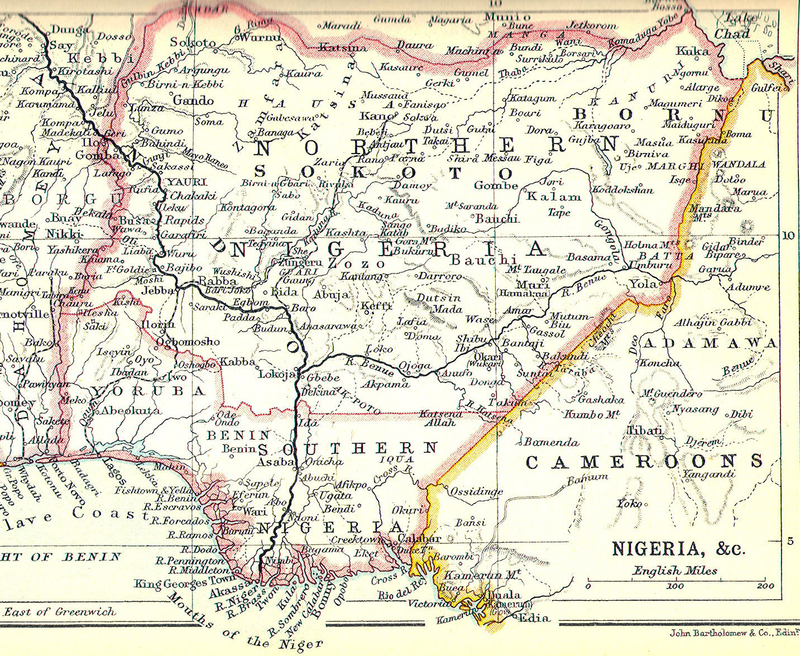 In 1914, with the increase in international tensions and the threat of war, Northern Nigeria was combined with the Southern Nigeria colony to form Nigeria. A. R. Allen gives details about the person who actually became the stepfather of Winston Churchill and who had had a less than illustrious career in the Colonial Service in Northern Nigeria. M.P. Porch never seemed far away from scandal, mishap or intrigue in a less than stellar career.